A bullet journal is typically a pen-and-paper affair: you use a paper journal and take written notes on your day, make to-do lists, etc. The movement behind this organizational system is largely based on replacing electronic interactions with physical ones; rather than depending entirely on our phones or apps to manage our lives, the idea is to use a good quality diary or notebook and create your own to-do lists or reminders using bullet points. While that is okay for some, not everyone wants to go old school with pen and paper. I like the idea of using a good old book and a pen to manage my day, but the reality is that I live on my computer and phone. It would be nice to switch those devices off and have a pen in my hand, but that would really just end up making more work for me, as the information still has to get into my electronic life for it to be “real.” In addition, the physical journals can be bulky and inconvenient and less than fully portable, which is less than ideal, not to mention the old “where did I leave my pen?” problem. This is where a bullet journal app comes gets a chance to shine. For those who want to keep it digital, here are the best bullet journal apps around right now. Trello is more of a productivity tool for businesses than a pure bullet journal, but I use it a lot for to-do lists and such. It’s free for individuals, at the cost of some personal information. Trello allows you to create digital ‘boards,’ which are essentially bullet journal pages. You then add whatever information you require to your board, and use a panel as a bullet point. You can use Trello as an individual but also invite others to share it. You can create a board for your personal stuff and keep it to yourself. You then create a family board for general to-do lists, grocery shopping lists, chores, or whatever else you need a list for. You can also create a third or more for work lists. All of this is completely free. Note that while you can use Trello as a simple bullet journal app and it works great for that, you’ll be missing out on about 99% of the firepower of this amazing productivity center. The app also works with GitHub, Evernote, Slack, and other apps for some bolt-on goodness. If you or your employer uses Microsoft Office, OneNote is a credible bullet journal app. It works as an individual note taker, as well as a general place to collect notes, sources, images, documents, and media and sort them into something usable. It can be used on an individual basis for personal bullet lists or shared with friends, family members, or colleagues. It is only worth considering Microsoft OneNote if you already use Office, however, as OneNote isn’t a free product. If you do have Office or Office 365, it is a viable bullet journal app to use. OneNote now even has a handwriting recognition feature which makes it very useful for anyone with a digital pen. Evernote is a note taking app that can easily be used as a bullet journal. Like OneNote, the work spaces are freeform, so they can be used anyway you like. It is an incredibly powerful and useful app, and it counts its users in the millions because of that. Evernote Basic is free to use and includes most of what you need to create a bullet journal. It allows up to 60MB of uploads a month and the ability to sync between two devices. You can add documents, images, and media and share your Evernotes with others. If you need more space, more devices synced, or other features then the Premium or Business packages may be more useful, but there is a monthly fee for each. 1 Second Everyday is a very cool video app that can be used as a bullet journal. If you’re not into writing things down or typing them, how about recording a short video instead? If that sounds like something you’d like to try, this is the app to get. The idea is simple: install the app on your device and set it up with your social network of choice. Then record a second of your day, or lists, or whatever you like. The app will then collect all of your videos and put them together so you can watch it all at once. While more of a chronology than a bullet journal, it is a fast and easy way to record short video lists if writing isn’t your thing. 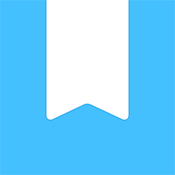 Momento is a more traditional journal or to-do list app. It is a clever app that can act as a note taker and to-do list, but it can also do a little more. Allow it access to your calendar, social networks, and email and it will scrape them all for appointments, reminders, lists, and other relevant details. Momento can create visual summaries of your day, week, month, or year. It can create historical timelines listing where you went, who you met, any images of the event, and other clever elements. It can also remind you of upcoming events and allows you to save video snippets directly in the app. The basic Event, Tag, or Quick Actions features are most useful for a bullet journal app, though, and each is quickly available from the menu. There is a lot to Momento and I like what I have seen so far! If you use your bullet journal purely for reminders or to-do lists, Todoist might be the app for you. It is a much more streamlined app than the others on this list, and it concentrates on lists. While it lacks the range of features of some of the apps here, it dives much deeper into the functions that it features. Todoist enables you to create tasks, sub-tasks, projects, notifications, calendar entries, recurring events, different priorities for events, reminders, labels, filters and a whole lot more. You can then keep all of these things to yourself or share them with friends, family members, or colleagues. The basic app is free to use and allows up to 80 projects and up to five users. There are also the ubiquitous Premium and Business versions available, which offer a lot more than the free version. Journey is another journaling app of note. It works across desktop and mobile and has a cool, flat design. The UI is very simple to use and makes short work of getting things done. You can use it as a simple bullet journal app or utilize more advanced features, such as adding the weather or geotagging entries for a different dimension to the list. Journey also enables you to backup your lists to cloud storage, add multiple users, images, or videos, print, export as PDF, and do other neat tricks. Journey is free to use the basic functions and offers a Premium version for even more features. I tried the free version and found it very easy to use. If you’re more into diary keeping than to-do lists, Grid Diary 2 might be the app for you. This one is iOS only but makes maintaining a diary as simple as possible. The app splits the screen into a handy grid and provides prompts or questions to give you an idea of what to write down or what to remember. It’s a slick app with a nice looking interface that is easy on the eyes as well as easy to use. Grid Diary has a Basic free version that allows you to create a bullet journal-style diary with up to five images, searchable entries, text and cloud inputs, and a neat backup utility. A Pro version adds templates and interaction with Evernote, iCloud, and other useful perks. Both are simple to use and include reminders, too. Day One Journal is another iOS journaling app. This is another app with a nice UI and great design. That makes it easy to use and to read and is probably one of the best looking journal apps here. The app works with text, images, location, weather, tagging, sorting, social media sharing, and all that good stuff. The app isn’t free, though; it costs $3.99 a month or $34.99 a year, so it is really only for serious journalers. This is a significant downside, as many of the other journaling apps in this list are free, or at least have a free option. However, this app is seriously good, so if you’re someone for whom journaling is a passion, it may be worth the investment. Journalist is a Windows app that is part bullet journal and part scrapbook. It works in much the same way as the others on this list, but works within Windows 10 seamlessly. You create a page and can type, write, add images, audio, or video, create long scrolling pages in either direction, and use your webcam or phone camera to add images directly. There are also the usual maps, tags, weather, and all the usual supporting information for your entries. As a pure bullet journal, Journalist works fine, but it also adds voice control and interaction with other Microsoft apps such as Sway or Windows itself by pinning journals to your desktop. So those are some very good bullet journal apps that are available right now. Each does the core journaling credibly well while focusing on a variety of extra features and useful perks. Do you have any other bullet journal apps to suggest? Tell us about them below if you do! Can you recommend any Android BUJO apps that lets you use your stylus like a pen? I like to write so I use Nebo with my Apple Pencil and iPad Pro.